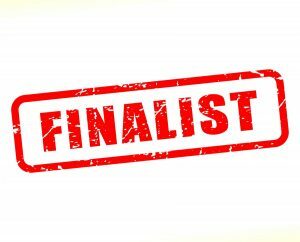 Bucks Business First Awards 2017 Finalists! The Buckinghamshire Business Awards honour the entrepreneurial spirit, vision, innovation and drive of our business community and celebrate ‘the best of the best’ across the whole business community. Originally launched in 2006 as the ‘Buckinghamshire Enterprise Awards’, The Buckinghamshire Business Awards are the County’s leading business awards. In 2017 The Buckinghamshire Business Awards will feature 13 categories, reflecting the diverse and dynamic business community operating throughout the County. The awards have a major role to play within the county, showcasing the entrepreneurial spirit and vision of our businesses, which in turn presents Buckinghamshire in the best possible light to the wider community. The VitrX Team are looking forward to attending the awards ceremony, which is organised by Buckinghamshire Business First (BBF), held on June 30 at the Aylesbury Waterside Theatre.